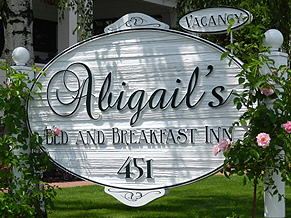 Here at Abigail's, the sights of spring are budding all around us. The resident gardener is digging in the dirt, pulling weeds, laying mulch and planting splashes of color all over our property, to bring our beautiful gardens back to life. Here is just a sample of what's blooming! It's a glorious time of year to visit southern Oregon.